I just found this stuff from my old tank that I'm probably never going to use. 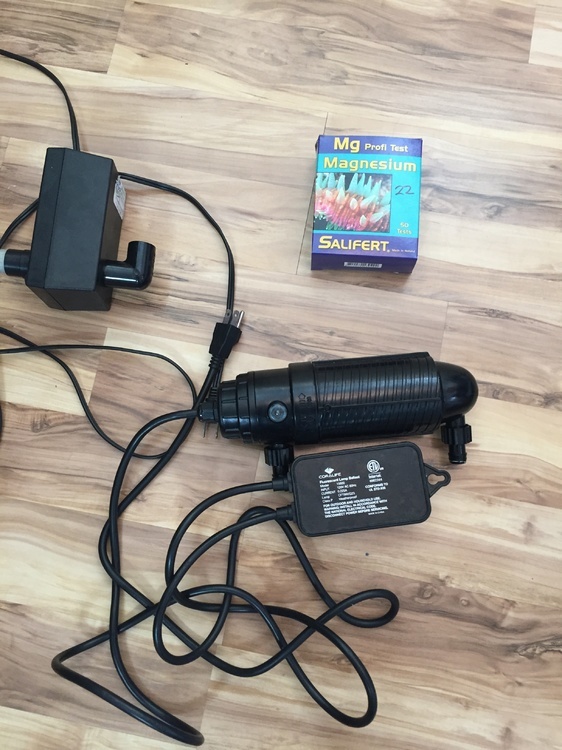 There's a 1/2" sea swirl, a coralife turbo twist uv sterilizer (could probably use a new bulb), and a salifert mg test kit that I only used a few times. Everything works, and it's all free. If you want any of it, let me know. I live in downtown Vancouver. Done. Pm me and let me know when you want to come get it. Still have the mg kit up for grabs. Who needs it? O.K. I will take the test kit.. PM to follow. Just Picked up the sea swirl jack. Thanks again! Gonna work nice in my frag tank! Looks like someone else took the test kit. It was gone when I got there. Nope. I still have it for you. Just a miscommunication. Thank you. I will grab it tomorrow!